..such a beautiful line, isn’t it? A newborn is a gift from God and is a perfect reflection of immaculate and pristine innocence. Whenever I recall the above line, it makes me want to give the little one immense love and care and only nurture them with all things natural. Since ancient times, newborns and infants are treated with natural ingredients, devoid of any harsh and harm, to protect and nurture their innocence. I affirm this notion. With time, we have been acquainted with baby products that are packed with artificial ingredients and can pose a harm to a babies’ skin. To top that, I am always annoyed by the sweet lingering fragrance that these products are always inbuilt with. But seldom do we understand that these fragrant products can be irritating to an infant’s peace and they can only grow in crankiness. Apart from that, the second most annoying factor of any baby’s product is its texture. They are usually too oily and sticky which further promotes irritation and itchiness. Thus, they do no good particularly. 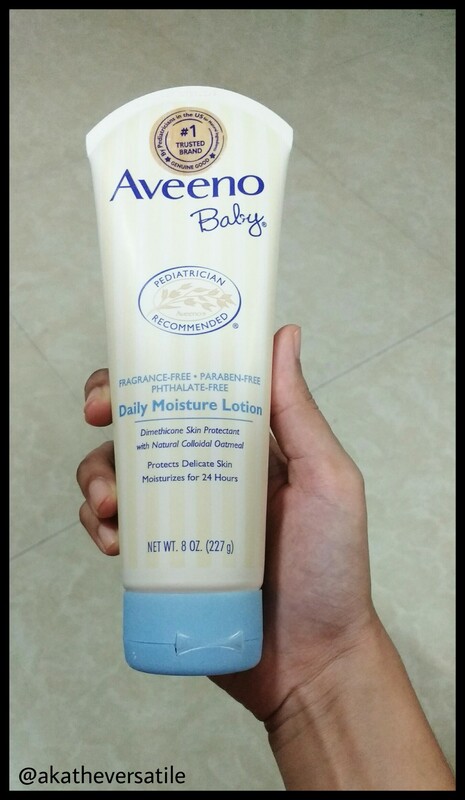 Recently, I was introduced to this newest range by Aveeno and delivered this amazing product from the range called as the Aveeno Baby Daily Moisturizing Lotion, as they recently got launched in India. They are established since 1945 and integrating science and technology with nature, they have only produced the best of product ranges for babies’ skin, hair and growth. 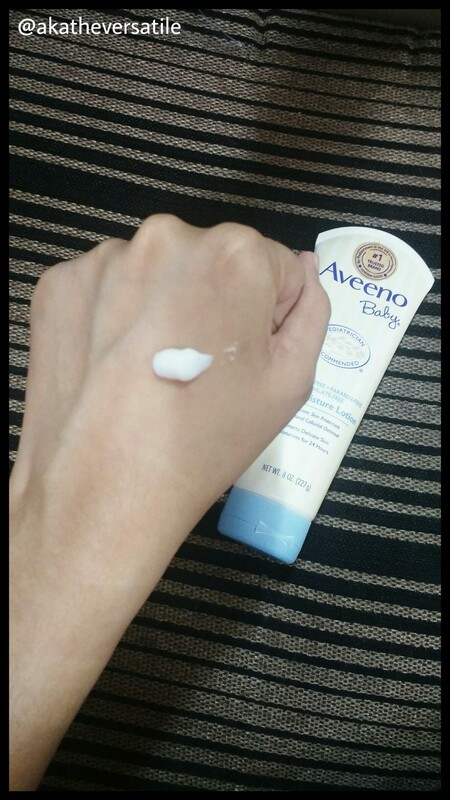 How I liked Aveeno Baby Daily Moisturizing Lotion? The lotion was packed within a fancy tube like packaging. It has a safe top to ensure that the lotion doesn’t ooze out unnecessarily. Aveeno Baby Daily Moisturizing Lotion is made with natural colloidal Oatmeal and infused with rich emollients which protects and nurtures the baby’s delicate skin. The consistency of the lotion is thick and not runny and gets evenly spread on the skin. The best part being that my queries are solved. It has no fragrance to it and thus, no irritation to the baby’s skin due to smell. Also, the lotion is non-sticky and very light on skin, that after a while, it doesn’t seem to have been applied while you can feel the baby’s skin soft on touch. Will I recommend it to other moms? Absolutely! It is reasonably priced considering the brand and the ingredients. It can be used for long and the best for treating rashes, diaper rashes, dry skin, eczema, chicken pox, insect bites and for daily nourishment of the skin. Here’s a catch for my readers! So hurry and order now on First Cry! Have you used this lotion for your little one before? How do you like it? Share your thoughts and ideas in the comment section. This sounds so good for babies. Especially for their dry sensitive skin. Isn’t this just gentle and amazing on the skin? This is current favourite lotion of my son. Its working great on his skin. I’m so glad Aveeno is finally launched in India. After reading your review can’t wait to give this a try. 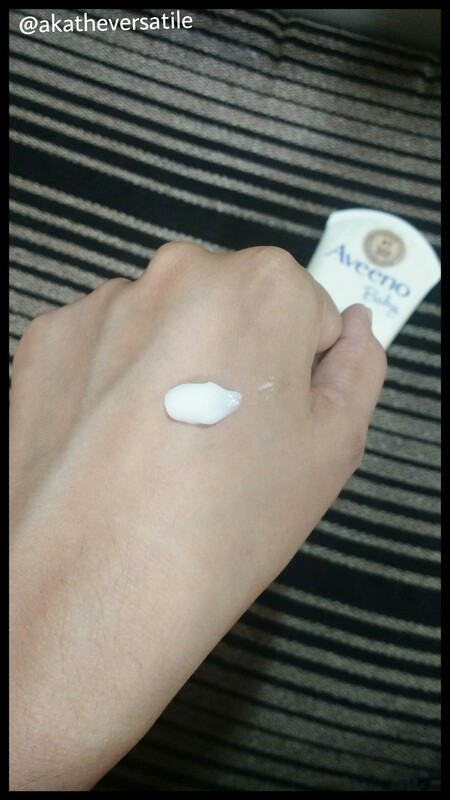 I’m so glad that Aveeno is launched in India. would try this soon.